PRESS RELEASE ON THE STATUS OF THE FAITHFUL WHO RECEIVE THE SACRAMENTS FROM PRIESTS AND BISHOPS OF THE SOCIETY OF ST PIUS X. COMMENT: letters from the Bishop Semeraro of Albano, Italy, and then from Bishop Sarlinga of Zárate-Campana in Argentina, have declared that the lay faithful who receive the sacraments from priests and bishops of the Society of St Pius X (SSPX) are automatically excommunicated, and would need to go through a process authorised by the bishop to be readmitted to communion with the Church (i.e., not simply confession). The Latin Mass Society holds no brief to defend the position of the SSPX, which is canonically irregular, but feels it necessary to point out that these letters are not just ill-considered but have potentially very serious pastoral consequences. They imply that anyone who has ever been to Mass said by a priest of the SSPX is not welcome in the churches of these dioceses. This conflicts not only with the ‘opening of hearts’ requested by Pope Benedict XVI as a prelude to a healing of these divisions ‘in the heart of the Church’, but equally with the emphasis on mercy of Pope Francis. CANON LAW BRIEFING: In light of canonical advice from our National Chaplain and Canonical Adviser, Mgr Gordon Read, the Latin Mass Society would like to clarify some canonical principles in relation to the recent statements of Bishop Semeraro of Albano, Italy, and Bishop Sarlinga of Zárate-Campana in Argentina, lest misunderstandings spread to dioceses around the world. 1. 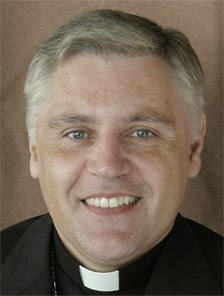 Basing a canonical argument on the assumption that the Society of Pius X (SSPX) has no canonical status in the Church and that its priests are suspended following ordination without dimissorial letters, it does not follow that to seek the sacraments at their hands is an act of formal schism on the part of the lay faithful. a. Such a conclusion conflicts with the lifting of the excommunication of the bishops of the SSPX by Pope Benedict XVI in 2009: it would be incongruous for the legislator to lift the excommunication of the bishops while imposing or maintaining it on the lay faithful to whom they minister. b. It also conflicts with the provision in canon law for the effects of suspension or excommunication of a priest to be lifted when someone approaches the priest subject to the penalty in order to receive a sacrament (canon 1335). 2. Excommunication by adherence to a schism can only be incurred where there is both a schismatic intention and an external act (canon 1321). a. It is clear therefore that excommunication is not incurred by those seeking the sacraments at the hands of priests of the SSPX without a schismatic intention. b. Were a member of the lay faithful to incur excommunication by a schismatic intention, this would be a matter of the private forum (the confessional), and not the public forum. c. Those under the age of sixteen cannot in any case incur a penalty (canon 1323.1); this would apply to those under this age who received baptism or confirmation. 3. The attitude of the Holy See has always been that lay faithful who receive the sacraments from priests of the SSPX are not excommunicated. Examples are as follows. a. 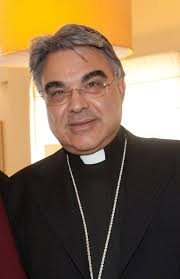 In 1991 Bishop Joseph Ferrario of Honolulu declared six lay Catholics excommunicated on grounds of schism for having procured the services of an SSPX bishop to administer confirmation. These appealed to the Holy See which, though Cardinal Ratzinger as Prefect of the Congregation for the Doctrine of the Faith, declared the decree invalid because their action, though considered blameworthy, did not constitute schism. c. On 27th September 2002, quoted and reaffirmed on 18th January 2003, the Holy See, through the Pontifical Commission Ecclesia Dei, stated that ‘In the strict sense you may fulfil your Sunday obligation by attending a Mass celebrated by a priest of the Society of St. Pius X.’ (Letters signed by Mgr Camille Perl). Bishop Semeraro is coincidentally the Secretary to the Council of Cardinals set up to advise the Pope. Albano is the location of the Italian headquarters of the SSPX. -It is not licit for the Catholic faithful to take part in the celebration of Mass in these conditions, neither to request nor to receive sacraments from the priests of the aforementioned "Society of Saint Pius X", including in private places turned into places of worship, without excluding, in case of obstinacy, also the ferendae sententiae penalties that may apply, according to the ecclesial spirit and that of protection of the faithful. - In the case of the rupture of ecclesiastical communion by the above-mentioned founded motives, in order to be later readmitted to the Catholic Church, a personal path of reconciliation (and eventually of removal of the canonical censure) will be required, according to the discipline advised by the Holy See and the [diocese's] own, established by the diocesan bishop. The Latin Mass Society, founded in 1965, promotes and supports the celebration of the Traditional Mass and sacraments (Extraordinary Form, Vetus Ordo) within the official structures of the Church and with the permission and cooperation of the bishops and the Holy See. The two bishops are pursuing a dangerous path pastorally which it seems is in conflict with canon law. The Vatican ought to rebuke them publicly. At the risk of repeating myself, the SSPX doctrinal position is pre-Vatican II , as is mine and as Pope Benedict XVI. So what is all the fuss about? They are not in schism which is perhaps more than can be said for many bishops who attended the recent Synod. I know of Catholics who for perhaps family reasons or whatever attend C of E services and receive their "sacraments" out of politeness, and I have certainly attended their “mass”. I have never heard it suggested that such actions are “excommunicate”. Given the frequently open doctrinal heterodoxy amounting to de facto heresy exhibited throughout the Church these days by laity and clergy alike, and incidentally in the recent Synod, this continuing pursuit of the SSPX becomes ever more like a vendetta. And of course while this is being pursued, the SSPX celebrate Mass at Lourdes. It really is approaching bit of a joke. By the way, I have never attended an SSPX Mass, but if the occasion required it, would consider such an action perfectly acceptable. And it’s nice to know that in canon law I would not be at fault! I think the two bishops are flirting with automatic excommunication. I would advise Catholics to avoid their Masses to be on the safe side. You speak of the “automatic excommunication” of those who receive the sacraments from the SSPX. But the two bishops’ letters are different. Bishop Semararo says such persons are “de facto” no longer in communion with the Church – i.e., they are excommunicated automatically, (latae sententiae). But Bishop Sarlinga is more nuanced: attending SSPX is not “licit”, and he does not exclude the possibility that ferendae sententiae excommunication “in case of obstinacy…… may apply, according to the ecclesial spirit and that of protection of the faithful”. This implies, I believe, some kind of due process and perhaps examination of the dispositions of the persons involved. Excommunications were lifted by Benedict for four bishops whose episcopal consecrations were performed without pontifical mandate. The sacramental de facto excommunication for schism remains. Roman Catholics should beware of making common cause with these people. Anyone who has been to an SSPX chapel and an NO service knows beyond a doubt that the two are not in communion with each other. They are two completely different religions. Absolutely correct! The TLM is Catholic, the Novus Ordo is Protestant! The World of Alice in Wonderland and I do not mean SSPX. Mother Church is in turmoil with a widespread denial of that which the clergy taught me in my youth - SSPX make no such denial. A parish priest friend to whom I have never mentioned SSPX, recently referred to Msgr. Lefebvre's wisdom and foresight entirely without prompting. I currently do not avail myself of SSPX faciities. But there is no problem if a relative who is Anglican stands as a Catholic child's Godparent. What stupid people. These two bishops are in disagreement with Francis, but so are the SSPX. How ironic.